October 3, 2018 | Tysons Corner, VA Led by attorney C. Thomas Hicks III, Offit Kurman’s Mergers and Acquisitions (M&A) Practice Group represented Beltway Veterinary Cardiology, Inc. (BVC), in a complex, multimillion-dollar asset sale last month. The company was purchased by two parties: National Veterinary Associates, Inc. (NVA), and a confidential buyer. The transaction, which closed on September 4th, is the latest in a rapid series of M&A deals handled by Offit Kurman. BVC is one of the largest veterinary practices in suburban Maryland. Doing business as Dogs and Cats Veterinary Referral (DCVR), the organization has provided advanced veterinary medical care and emergency 24-hour services to pets throughout Maryland, Washington, DC, and Virginia for nearly 16 years. Capabilities include internal medicine, neurology, oncology, radiology, and surgery—all facilitated with advanced on-site imaging and diagnostic technology. From 2015 through 2017, DCVR won the Bowie Blade Readers Choice Award for Best Veterinary Hospital. Offit Kurman’s M&A team assisted BVC in creating a wholly-owned subsidiary into which the company contributed its assets. The firm then worked with the client to sell 80% of the subsidiary to NVA and the individual purchaser, with the remaining 20% distributed between BVC’s two shareholders. Founded in 1996, NVA is the largest private owner of freestanding veterinary hospitals in the United States. The company also owns several animal care units in Canada, Australia, and New Zealand. When NVA purchases an entity, it retains the organization’s staff, brand, and culture, while providing administrative support. NVA has achieved a sustainable pattern of growth through an M&A strategy based on “roll-up” mergers, in which a company expands operations by purchasing and combining multiple, similar businesses. Given its own history of regional expansion through lateral affiliations and acquisitions, Offit Kurman is an ideal partner for roll-up companies looking to grow in the Mid-Atlantic region and beyond. Over the past two decades, the firm has grown from a small group of legal practitioners to nearly 200 attorneys across a dozen offices from New York City to Richmond, Virginia. This hands-on M&A experience—coupled with the firm’s recent streak of successful transactions closed for clients—sets the firm apart, said Mr. Hicks. Mr. Hicks has more than 35 years of business law practice experience in Northern Virginia. He represents business clients in all their legal needs, working with the management team as outside general counsel, and otherwise coordinating the company’s general legal needs. His clients include emerging technology companies, government contractors, lending institutions, and commercial real estate development firms. 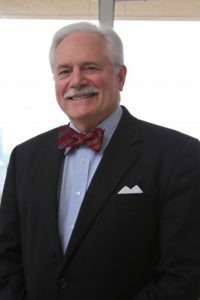 In addition to his work at Offit Kurman, Mr. Hicks is a Preferred Advisor to The Association for Enterprise Growth, a nonprofit organization that provides mid-market business owners, CEOs, and their executive management teams with access to resources and best practices for implementation in growth and exit planning, including sale, merger, use of ESOPS, and other succession planning. Offit Kurman’s M&A Practice Group has developed numerous articles, resources, webinars, and speaking events focused on how business owners on both the sell-side and the buy-side can take advantage of the current M&A market. To learn more, and to get in touch with Mr. Hicks and the rest of Offit Kurman M&A’s team, click here. C. Thomas (“Tom”) Hicks III has more than 35 years business law practice experience in Northern Virginia. Mr. Hicks represents business clients in all their legal needs, working with the management team as outside general counsel, and otherwise coordinating the company’s general legal needs. Mr. Hicks assists the organizers with choice of business entity and organization, initial and private equity financing and debt financing. He advises the management team regarding corporate governance, executive employment and compensation matters, contract matters, business acquisitions, equity and asset sales and merger, and business breakups and dissolutions of business entities, among other legal areas. He also advises business executives and companies regarding stock and other equity benefit plans, and wealth planning and asset protection. Mr. Hicks has advised commercial real estate developers in all legal aspects of their business.